The Denver Broncos may have Peyton Manning on their side, but the Seattle Seahawks have one of the largest and loudest "12th man" contingents (those are the fans for you non-football types) of any NFL team. In fact, according to a story on the CBS affiliate in Denver, the Seattle fans are so intense that seismologists can track what happens in a game on the Richter scale. 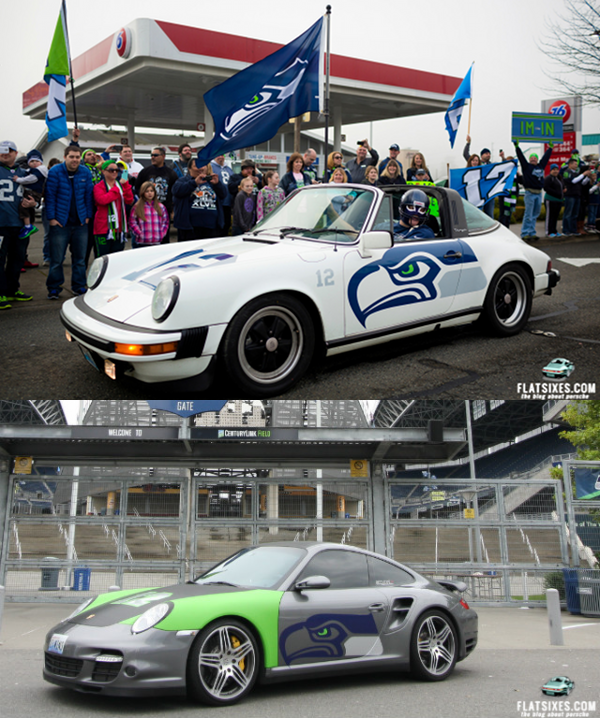 Even better, at least two fans love their team so much they wrapped their Porsches to show their support. Take that Manning! (As long time Patriots fans we'll root for anyone over Manning). Seattle is a good choice for a team to support. Anything beats support for the York owned Alviso 49ers.